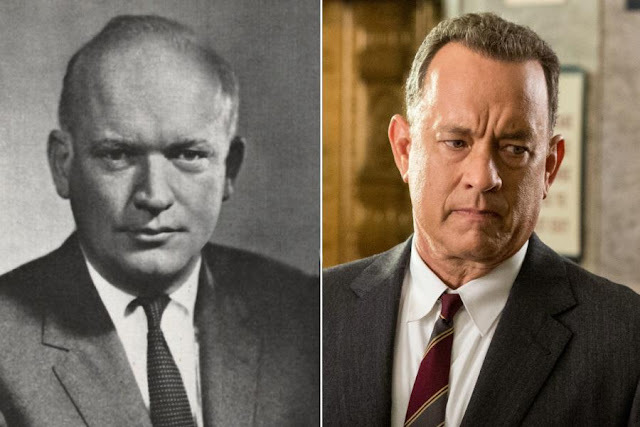 Movie Ramble: Bridge of Spies. The bridge of the title in the latest film directed by Steven Spielberg is The Glienicke Bridge that connects Berlin to Potsdam and was one of many border crossings between the West and the East during the cold war that followed World War 2 and the annexing of Germany. The eastern part of the bridge is in the West and the western part is in the East, the border between the Socialist German Democratic Republic (GDR) and the Capitalist Federal Republic of Germany (DDR)runs through the middle of it. 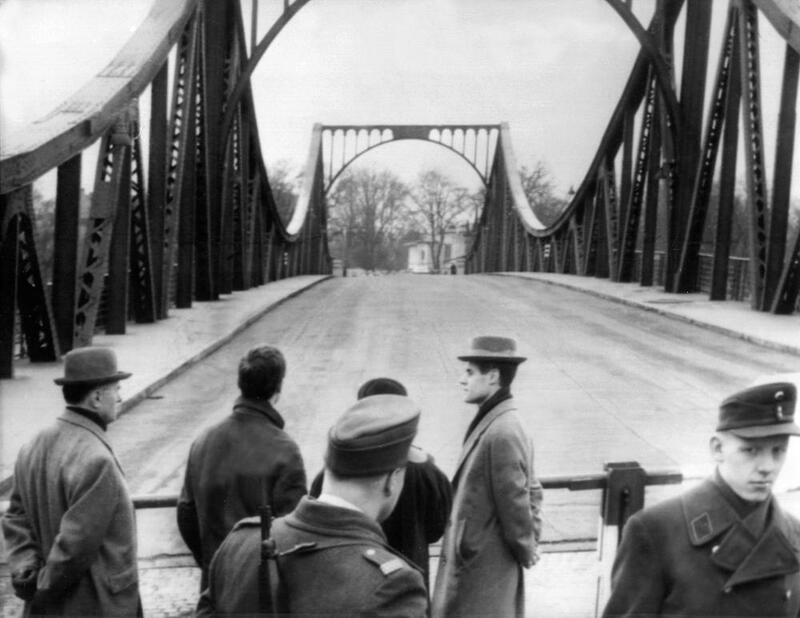 In 1961 following the GDR’s attempt to secure their border the bridge could only be used as a border crossing point for Allied military personnel or if special permission was granted. Glienicke Bridge gained fame because it was where ‘agent’ exchanges took place between the USA and the Soviet Union. The most famous of these exchanges was on the 10th February 1962 between the US U-2 spy plane pilot Francis Gary Powers, the all American boy who could not follow orders, who was shot down on the 1st May 1960 and the Soviet Intelligence Officer Colonel Rudolf Ivanovich Abel who was put on trial and accused of spying on the USA from an apartment in New York for a nine year period. Abel whose real name was Vilyam Genrikhovich Fisher was born in the United Kingdom in Newcastle upon Tyne he was the son of Russian émigré’s and whose father Heinrich was a Bolshevik freedom fighter. 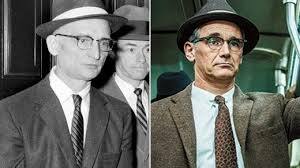 Although it’s this true story that forms the backbone of Bridge of Spies (2015) Spielberg’s movie mainly concentrates on the American insurance lawyer James B Donovan who in 1945 had assisted at the Nuremberg war trials and was tasked with defending Colonel Abel in 1957 and to broker the subsequent prisoner exchange in 1962. The American actor Tom Hanks ably covers this part, but it’s the British actor Mark Rylance who takes all the plaudits for his role as the very likable Colonel Abel. The same bridge on my last visit in August 2012. 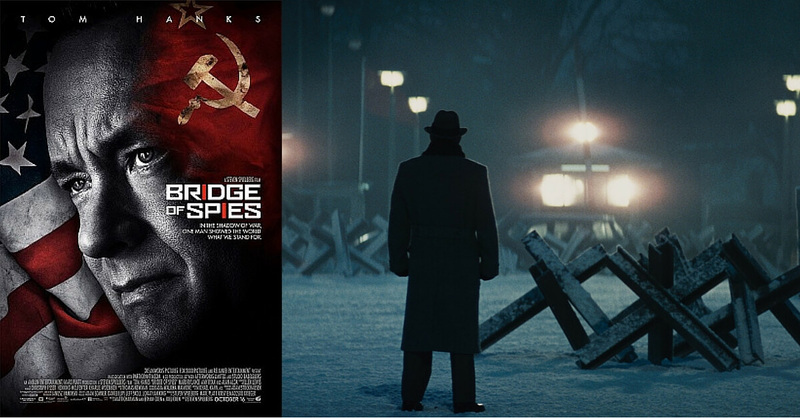 This is a rather enjoyable old-fashioned cold war thriller that brings to mind movies like The Spy Who Came in from the Cold (1965) and is made even better by the script which was co written by Matt Charman and the Coen Brothers. The historical accuracy is obviously stretched – well it is a Hollywood movie – and we get a typical soft US ending just like we did with Spielberg’s Lincoln (2012) but I would still recommend you to see this movie if for no other reason than to spend an enjoyable couple of hours in your local cinema. Just have to correct one little factual error in your intro. GDR = DDR (Deutsche Demokratische Republik), the 'Capitalist Federal Republic' aka West Germany was the FRG = BRD (Bundesrepublik Deutschland). You would of course expect yours truly not to let that past!